If you have not yet read Gone Girl, get thee to a bookstore immediately. This book twists and turns in so many ways that you simply won't be able to stop turning the pages. In short, it's the perfect beach or tube read, depending on where you are spending your summer. The reason I mention this now has everything to do with Entertainment Weekly's cover this week. 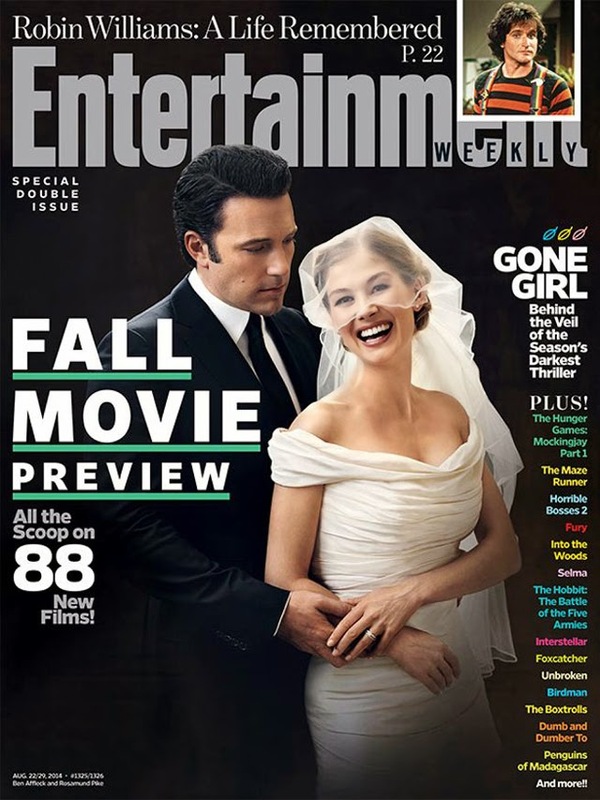 The two stars of the film, Ben Affleck and Rosamund Pike share the cover, in character, for a wedding portrait. For those of you that have already read the book, this is very exciting news. If you haven't, well, like I said - go get it!